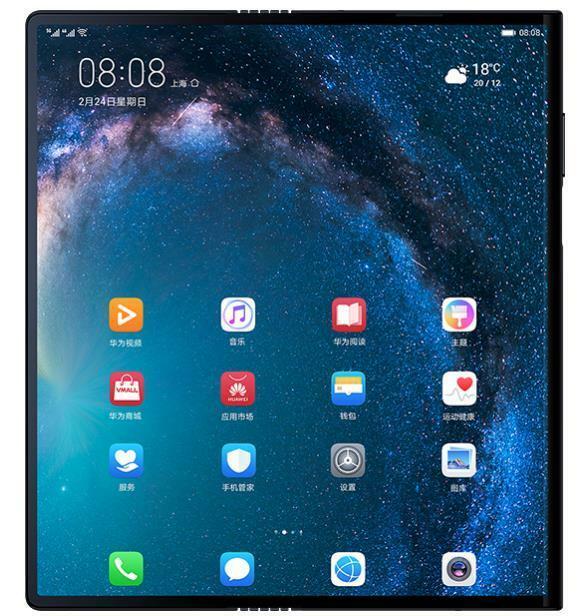 The price tag for Huawei"s foldable 5G-enabled phone, the Mate X, is downright astronomical. The Mate X is set to compete with Samsung"s recently announced Galaxy Fold, which is priced at about $1,960 before taxes. The comparisons between the Samsung and Huawei phones don"t stop there. 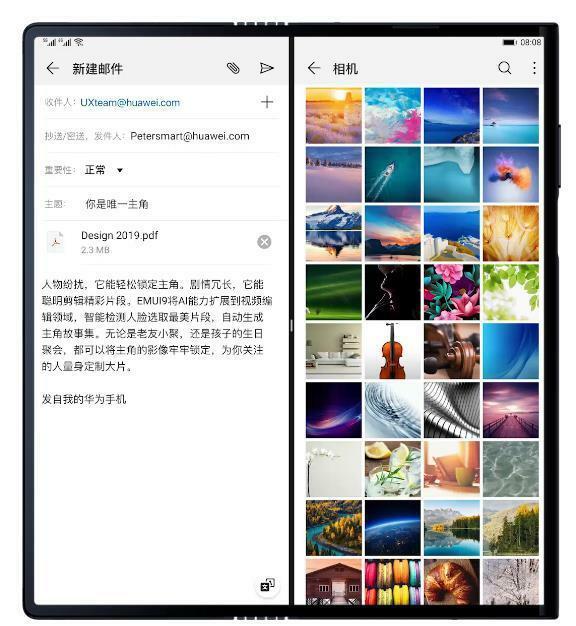 Huawei made sure to highlight the foldable phone"s 5G connectivity, a technology at the center of its quest for global dominance in the smartphone market. "No matter how innovative and technology advanced the new device is, it will take a lot more time for a critical mass of consumers to experience the benefits of foldable phones and 5G technology," said Thomas Husson, an analyst at Forrester. Just days after Samsung Electronics Co launched the industry’s first mainstream foldable-screen smartphone, China’s Huawei Technologies Co upped the ante with a competing device and an even more stratospheric price tag. The new device launch comes on the eve of mobile industry"s biggest event of the year here, MWC Barcelona. Huawei’s new device, called the Mate X, features a single wide screen that folds in half when closed. 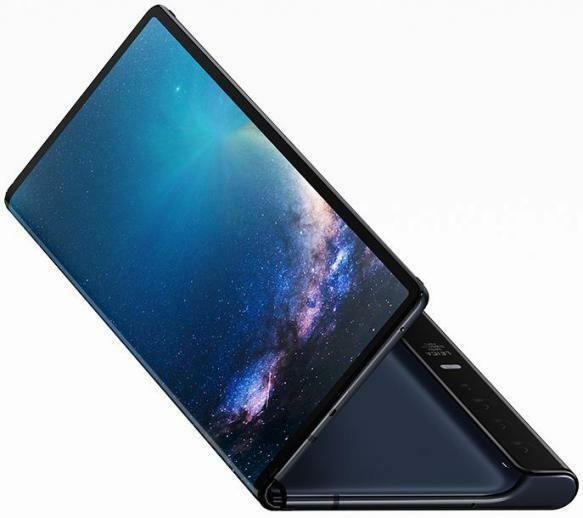 Like the rival Samsung Galaxy Fold, the Mate X will have a folded and unfolded mode, run multiple applications at once and be compatible with coming superfast 5G networks. Mr Yu drew several comparisons to the Galaxy Fold during his glitzy, 30-minute unveiling of the Mate X. Huawei’s device will be thinner than its rival’s, he said. When fully opened, the screen will be 8 inches diagonally, he said, compared with the 7.3-inch unfolded display on the Galaxy Fold. But Mr Yu was vague about when the device will actually become available to consumers, offering a for-sale date of as soon as the middle of the year, pending the rollout of 5G networks. Ever since Huawei overtook Apple as the world’s second largest phone brand by market share late last year, the Chinese tech giant has been quite vocal about its mission to topple Samsung too. And to that end, Huawei has arguably one-upped the South Korean phone maker twice already in 2019. Build quality, likewise, was impressive. The display did not show signs of creasing at the folding point, and at 5.4mm thick when opened up, is jaw-droppingly thin. 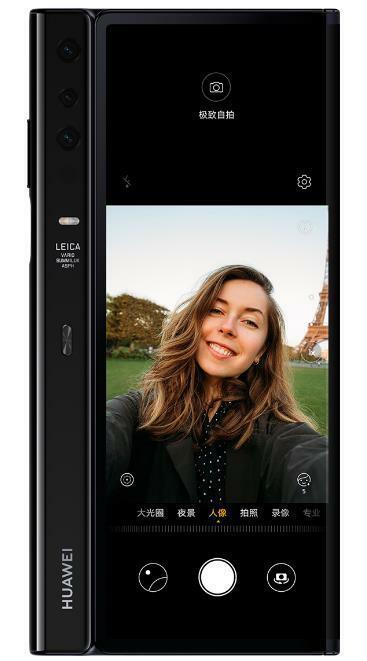 When the device is folded, you essentially have a dual-screen smartphone, with the second display on the rear allowing you to shoot selfies （自拍）with the main camera or to share what’s on your primary display with a person on the other side. Open up the Mate X, and you get an almost square (but not quite) tablet that has minimal bezel son three sides. Just a few days after Samsung unveiled a true foldable phone with one single display that can bend and fold in half like a piece of paper. Huawei has introduced its own take, the Mate X, and judging by looks, Huawei’s version is just as cutting-edge as Samsung’s, if not more.